Pressure cook the potatoes for 2-3 whistles with 1-2 cup water. Peel off the skin and mash it. The potatoes didn’t boil properly so i blended in a mixer to smooth paste. Heat oil in a kadhai or pan and temper mustard seeds. Add chopped onions and fry till it turns golden brown. Add ginger-garlic paste and chopped tomatoes. Mash the tomatoes and add potato paste. Add turmeric powder, turmeric powder, asofoetida and salt to taste. Add 1/4 cup water and mix all. Cook for 10 mins and garnish with chopped coriander. 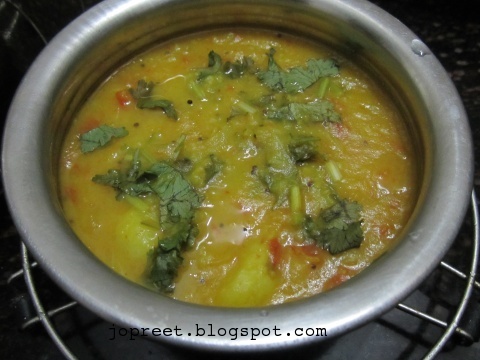 Serve hot with poori or dosa or chapati. Combine wheat flour and salt in a mixing bowl. Knead to stiff dough like we do for chapati. Keep aside for 30 mins. Make small lemon sized balls of the dough. Take a ball and roll it on wooden board using roller pin. Dust it with flour and roll it. Similarly roll all the balls. Heat oil in a kadhai and when it is hot, start frying the poori. 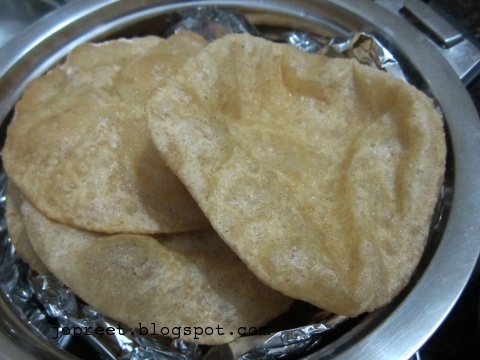 Fry all the poori one by one. 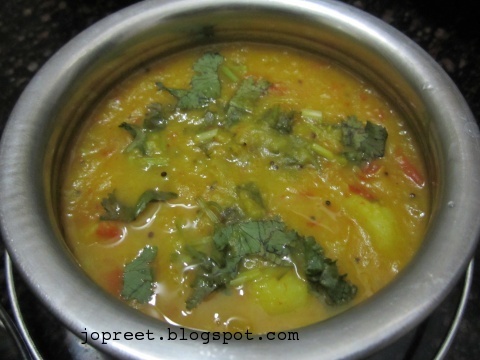 Serve hot with aloo masala or chole masala. That's everyone's fav. Deliciously prepared. nice combo, nowadays prepare it very rarely. very nice curry, looks very inviting and yummy! My favourite poori and aloo masala…yummy….nice clicks. nice!!!!!! 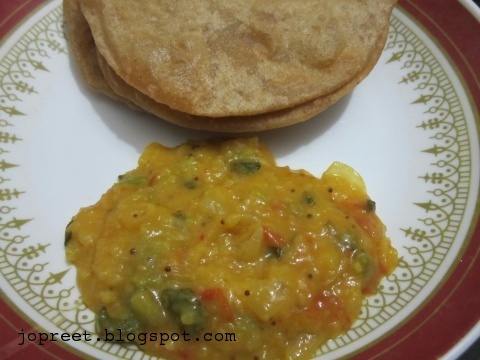 !poori n aloo….always a hot favourite….nice pics. This is my absolute favorite and would love to gorge on it any time of the day. Yummy yummy..I love this combo.. Your pics making me hungry….my fav breakfast..
wow dear !!! !poori and aloo curry looks absolutely delicious !!!!!!! Poori and Aloo masala looks delicious.. Very yummy combo, looks super tempting. I like the curry like this – a little gravy like – but every one else likes it dry at home. Would love to have this right away! Wow, this looks super good! Delicious breakfast! fabulous combination… delicious and mouth watering!! Delicious combination, one of my favorite recipe. My favorite combo ! Looks yummy!